Is the swimming pool already enticing you to a relaxed bathing or splashing time? 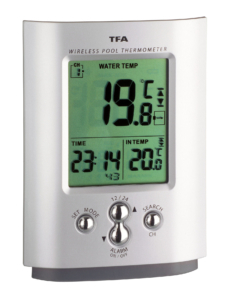 With the modern wireless thermometer "VENICE" you can always monitor the water temperature in your pool or pond – and that from the comfort of your living room. 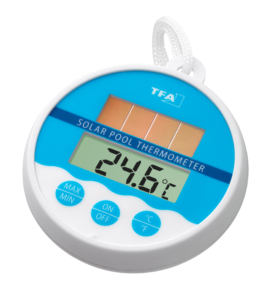 The floating solar pool thermometer transmits the information directly and wirelessly to the station and it also has its own temperature display. 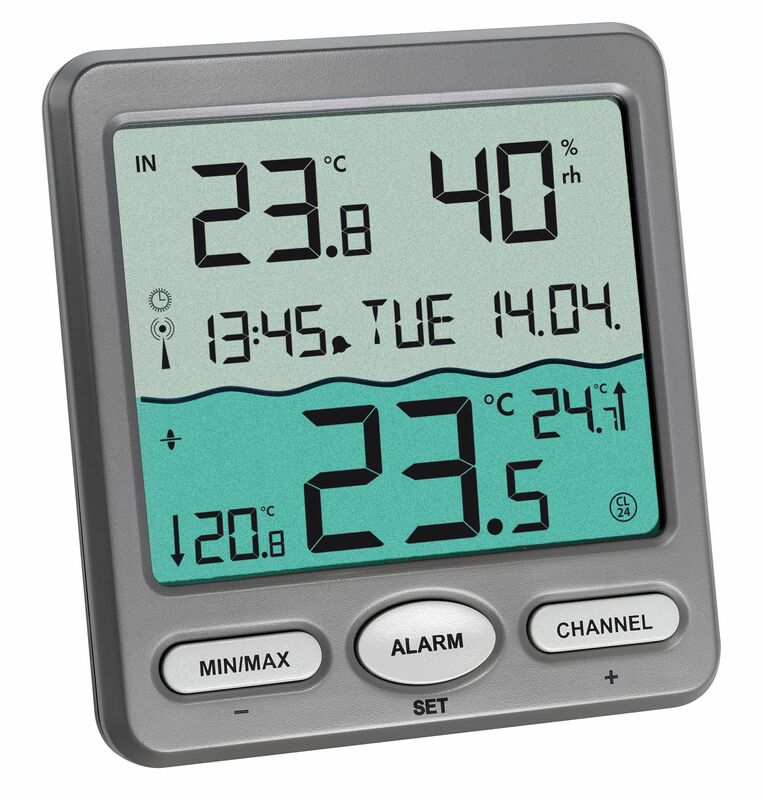 The thermometer has a 180 mm measuring depth capacity. 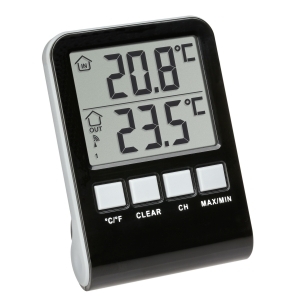 This gives you particularly reliable values. 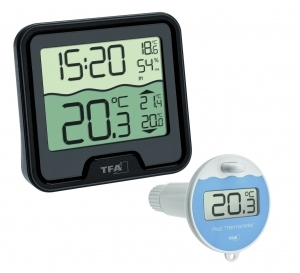 As a special design feature, the lower display area – which shows the highest and lowest water temperature – is highlighted with turquoise waves. 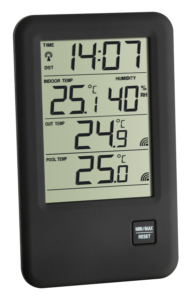 The upper display area informs you of the indoor climate, at the place of installation, as well as the exact time with date. 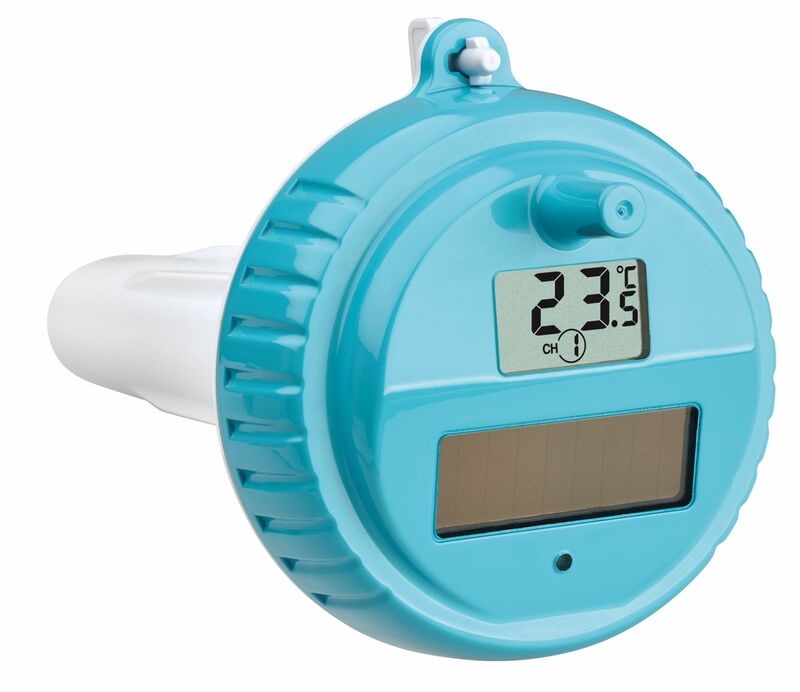 Optionally, you can connect 7 more thermo-hygro transmitters, which can be purchased additionally.